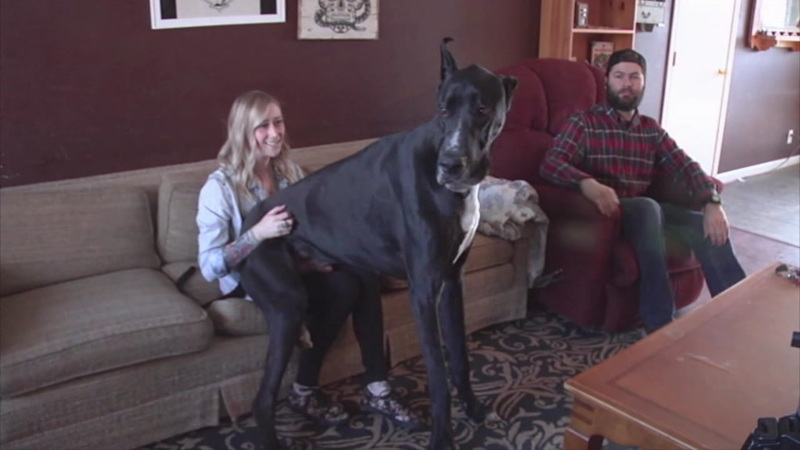 A couple in Nevada says their dog is so big, they think he may be part horse. 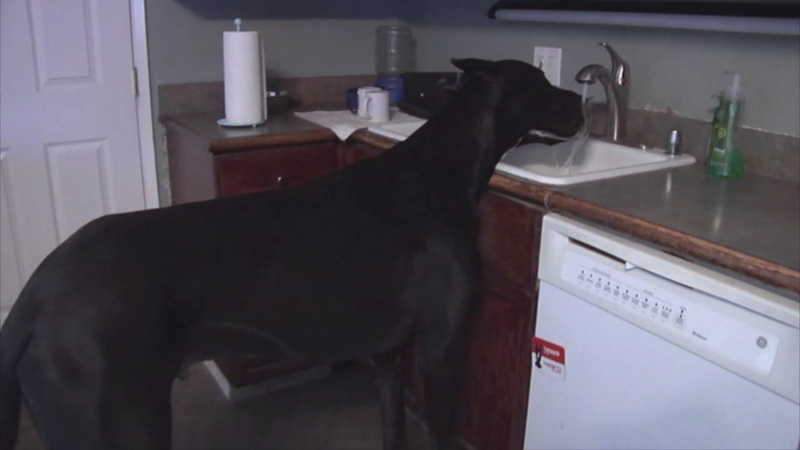 At just 2 years old, Rocko stands at 40 inches from paw to shoulder and is about 7 feet tall when on his hind legs. He loves to play tug-of-war. But unlike other dogs, Rocko will drag you across the floor. 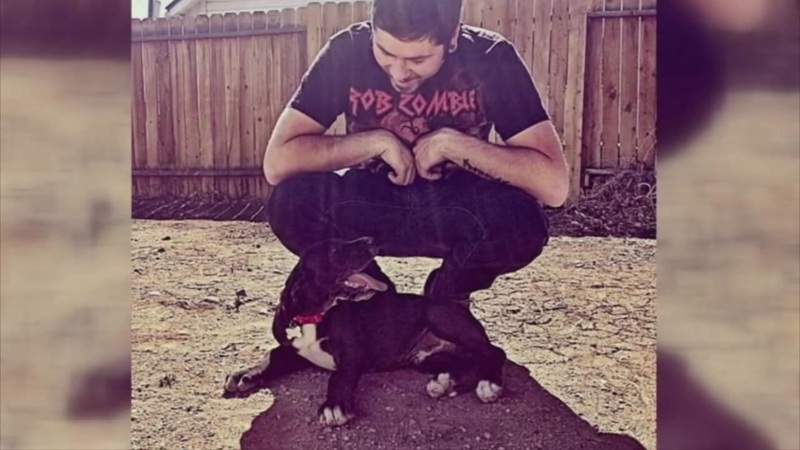 "We didn't realize he was going to be so big," said Nicholas Helms, one of Rocko's owners. 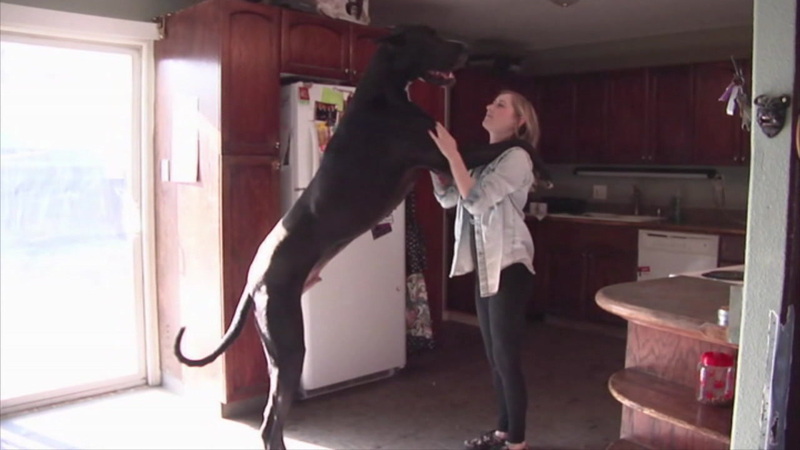 "He was so big we were like -- oh my God, is he half Dane or half pony? What's going on here?" 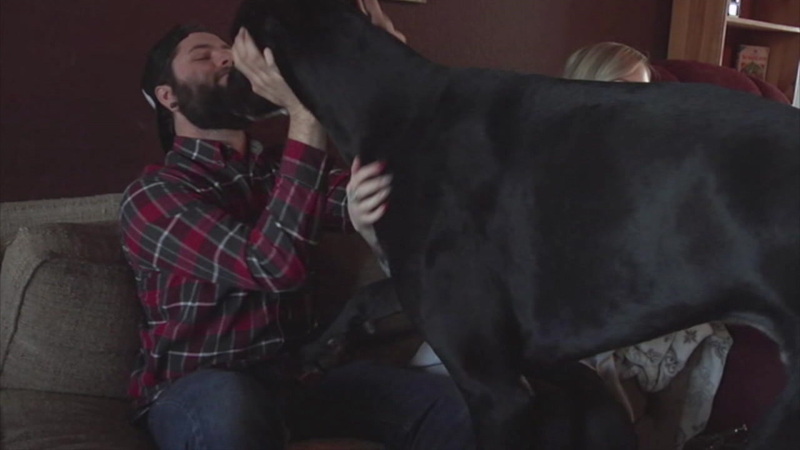 He's definitely not a lap dog, but his owners say the 160 pound Great Dane thinks he's a Chihuahua. 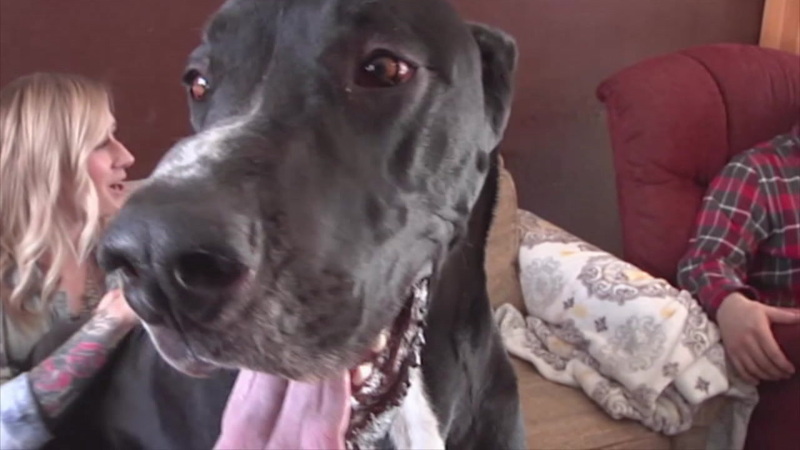 Rocko is Helms and Jessica Williams' first Great Dane. Not knowing what to expect, they realized he was big even at a young age. 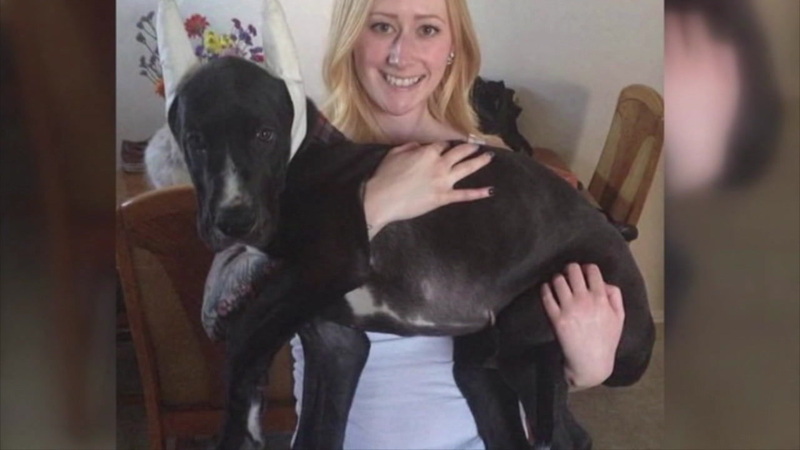 When they got him at 8 weeks old, he was about the size of a 6-month-old Labrador. And he hasn't stopped growing since. "He sprouted like a weed," said Helms. "No joke, the next morning his collar was tighter and he was half an inch taller. Like, it happened numerous times. He kept sprouting." At this rate, he may sprout his way into the record books. 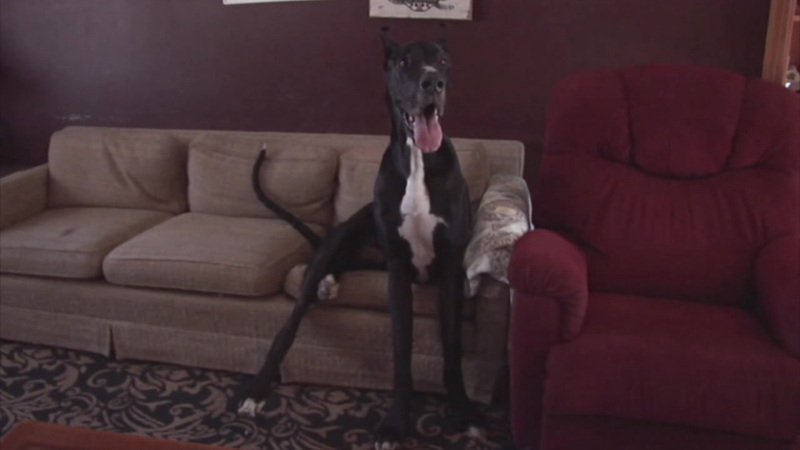 They're making a bid to the Guinness Book of World Records to document Rocko as the tallest living dog. 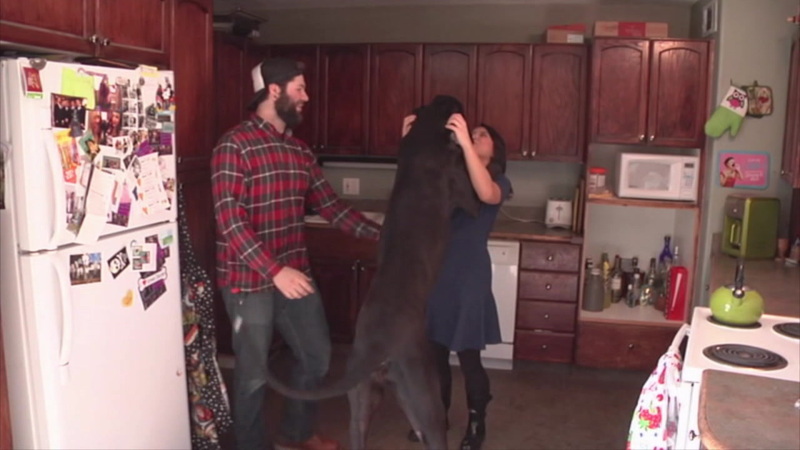 Aside from his size, the 160 pound pup is full of character, almost human-like. "He'll cry at the TV if, like, an animal is being hurt on a documentary or something," said Williams. "He gets really upset. He's weird. I think he's more emotionally connected than most dogs." While Helms and Williams wait to hear back from the record book, they're keeping him in tip-top shape. 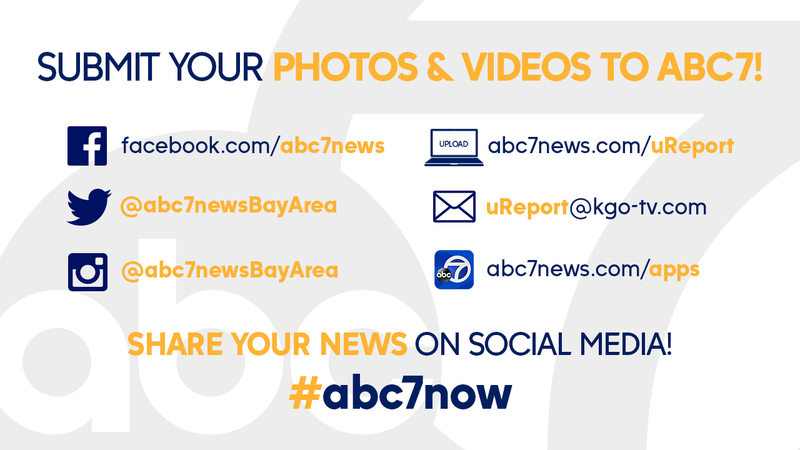 "He's growing at a proper rate," said Helms. "Healthy as can be -- heart's good, stomach's good, he's in good health."